The European People’s Party (EPP) has today voted to suspend Hungary's Fidesz party, said Joseph Daul, the centre-right group's president. 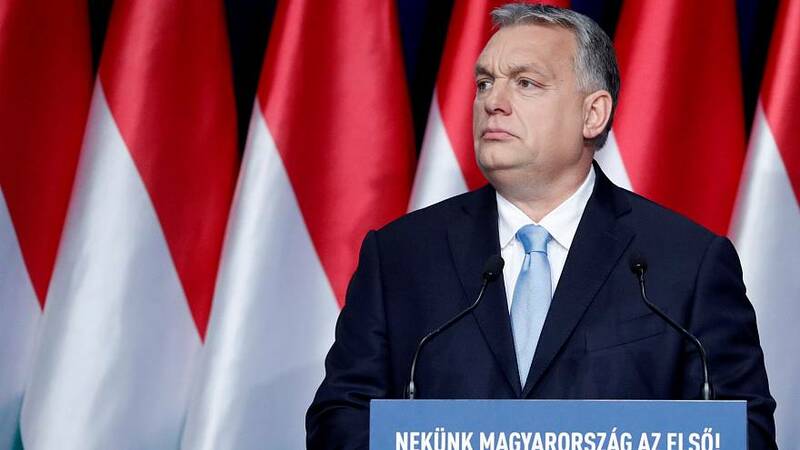 The political grouping, which is the largest in the European Parliament, met in Brussels for a vote on the future of Fidesz, the party of Hungary Prime Minister Viktor Orban. Daul wrote in a tweet Fidesz would be "suspended with immediate effect" and that members voted 190-3 in favour of the move. That means no attendance at any party meeting, no voting rights, and no right to propose candidates for posts. Orban said he had voluntarily agreed to pause Fidesz' participation in the EPP in order to prevent a forced suspension, reported Reuters. Hungary's prime minister added that a party's committee had agreed not to suspend Fidesz but to allow it to voluntarily pause its participation until an independent commission had completed a review of the state of the rule of law in Hungary. Wednesday's meeting follows months of tension between Orbán and some of his EPP colleagues. His anti-EU rhetoric has recently targeted senior EPP members. His opponents have long accused him of stoking hatred with anti-immigration campaigns, interfering with judicial independence and clamping down on the media. Things came to a head when Orbán’s government launched a poster campaign, accusing European Commission President Jean-Claude Juncker of promoting migration policies that fundamentally threaten Hungary’s security. The posters depicted Juncker as a puppet manipulated by philanthropist George Soros into backing uncontrolled immigration. There has also been consternation at the plight of the Soros-founded Central European University, which claimed it was being forced out of Budapest because of the Orbán government's hostile stance. Thirteen EPP member parties called for a vote on Fidesz's continuing membership, in the wake of the poster campaign. Last week, during a visit to Budapest by the EPP leader Manfred Weber, some of the anti-EU billboards were covered up – but only those that he was likely to see. Juncker dismissed the poster campaign as lies. “The conservatives in Hungary in no way whatsoever represent Christian democratic values. I’m of the opinion that there’s no place (for them) in the European People’s Party,” he said in Stuttgart in January. With a two-thirds majority in Hungary’s parliament, Orbán has made sweeping constitutional changes at home. He has restructured the judiciary and clamped down on the media. A Hungarian government spokesman argues that Orbán is sticking to his core values. “Fidesz and the Christian Democratic Party alliance is a Christian democratic philosophy-based party, and we believe the EPP should remain on these very solid foundations,” Zoltán Kovács said. But last year at the EPP congress concerns were raised over Orbán’s record on the rule of law and democratic freedoms. The stakes are high for both sides. For Orbán, being in a group with Angela Merkel’s Christian Democrats gives him access to the continent’s power brokers. For the EPP, losing Fidesz’s legislators – currently there are 12 – could cost them the status of being the biggest party in the European Parliament, and risk pushing Fidesz into forming a new Eurosceptic grouping. Last week, Orbán sent a letter of apology to Belgian centre-right leader Wouter Beke for calling him and other EPP critics "useful idiots". The Hungarian prime minister said he was quoting Lenin and meant to criticise policy and not individual politicians. Hungary's pro-government press have called for Fidesz to quit the EPP rather than endure "humiliating" negotiations. Orbán has talked of shifting the EPP to the right – but if that fails, he has suggested Fidesz could form an alliance with Poland's Law and Justice (PiS). Merkel's Christian Democrats (CDU) have gone to great lengths to preserve relations with Fidesz. But there are signs that patience is running thin. Andreas Nick, the CDU's coordinator on relations with Hungary in Germany's parliament, has described how he "showed the door" to a Fidesz official after the Hungarian asked the German whether he "also got money from George Soros". "All the signals that are coming from Budapest suggest they are targeting a break," Nick said. "It looks as if they are really begging to be kicked out." The German conservative leader Annegret Kramp-Karrenbauer said that she supported the idea of suspending Hungary’s Fidesz party from the EPP. “As long as Fidesz does not fully restore trust there cannot be normal full membership,” Kramp-Karrenbauer, a confidante of German Chancellor Angela Merkel, told Reuters on Wednesday. However, it is also possible that the 260 EPP delegates could decide to suspend, rather than expel, Fidesz. It presents a serious challenge for Manfred Weber – a Merkel ally who will lead the conservative bloc in the European elections and is seen as a possible successor to Juncker as European Commission chief. His attempts to keep Fidesz onside have been criticised by political opponents such as the Greens. The outcome of Wednesday’s decision may hinge on whether senior EPP members think they can persuade Orbán to moderate his hostile stance towards the European mainstream.